With a relatively low price tag, the instrument features a solid Sitka spruce top, one of the most popular among the tone-woods. This wood can be credited for the nice mellow tone accompanied with slower response yet maintaining a relatively lightweight for the instrument. As a guitarist, I have had experiences with many guitars but there is none that is better than the Yamaha FG700S as far as my experience has reached. 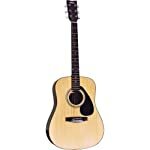 This is really a guitar for beginners, read this Yamaha FG700S review you will know why. With a relatively low price tag, the instrument features a solid Sitka spruce top, one of the most popular among the tone-woods. This wood can be credited for the nice mellow tone accompanied with slower response yet maintaining a relatively lightweight for the instrument. These are two great combinations that any beginner would absolutely love to come across, as they begin their journey of becoming guitar pros. In addition to the top, the instrument also features nato sides and back that is also responsible for the lightweight nature of the guitar. This is a cheap material thus keeping the guitar at inexpensive range without having to sacrifice the much desired tone. The rosewood fingerboard & bridge, the die-cast tuners, the black & white body binders together with the tortoise pickguard are all features worth desiring to have in a beginner acoustic guitar. Furthermore, for aesthetic purposes, you have the option of considering a sunburst finish or the natural alternative. It also features natural finish. The high gloss finish gives the guitar great looks especially when under stage lights. It is not very loud and can’t therefore be used in large venues. 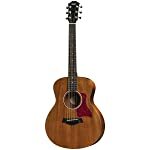 The Yamaha FG700S is a near legendary instrument, which stems from a rich heritage of the great FG “Folk Guitar.” It is absolutely the perfect first guitar to own amongst the acoustic types. I have advised many beginners to give it their first try and the responses have been great. At its cost, it is surprisingly complete with a full round tone and features worth each cent spent on it. The deluxe features that flower its design can’t be found in any other guitar within its price range. If you are contemplating to start a guitar playing journey, it is highly sensible and recommended that you begin with a great instrument that will encourage you to soldier on, a guitar that will last for a number of years and that’s none other than the Yamaha FG700S. This is bought separately and should be owned by any guitarist. You will be moving around with your instrument. Without the case, carrying the guitar can be a tall order that you will absolutely not enjoy. A Yamaha guitar instructional DVD that is separately sold can be used by any beginner to start their guitar lessons. The DVD has some very basic lessons that will help you learn the tuning of the instrument together with playing the very basic scales and chords. It is a great addition you can buy with the guitar. This is yet another very important addition to the package. It is common for guitarists to lose or occasionally break their picks. You have the option of buying extra picks with your guitar. The picks come in different colors and gauge for you to choose from. 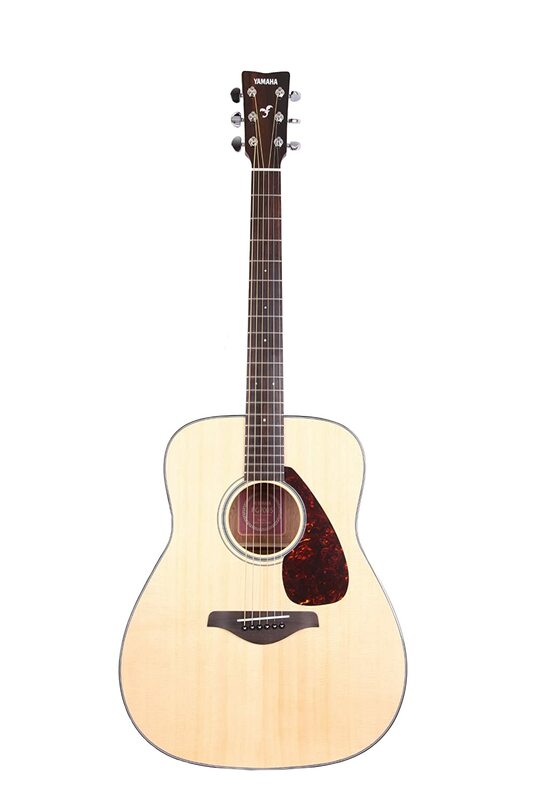 ​Buying the Yamaha FG700S guitar is economic in the sense that it comes with a low price tag. In addition, all the other extra accessories that can be bought with the guitar make it even cheaper. There is absolutely no other product that can be as cheap yet competes with the expensive guitars in terms of sound quality production among other features. Buying this product is real investment that you will never regret as a beginner. It is surely an incredible instrument that’s affordable, having a solid top together with incomparable quality.